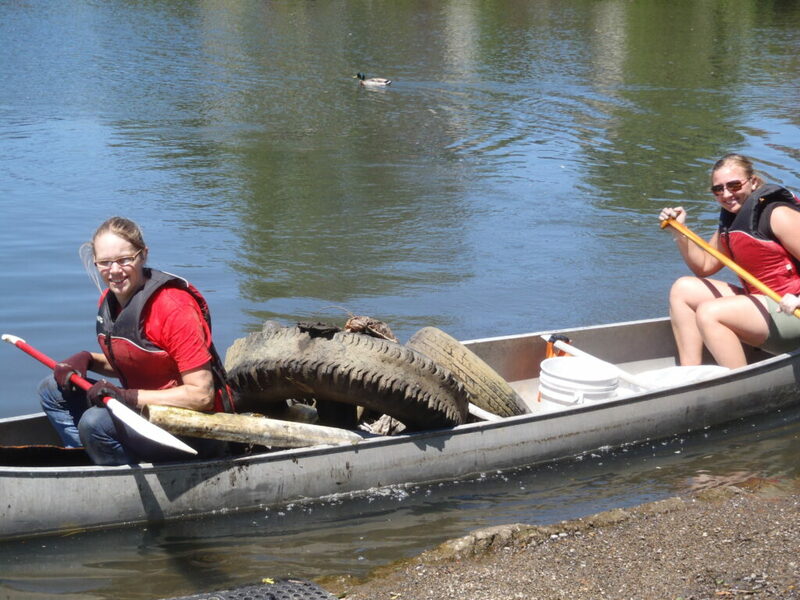 On a great day for paddling these ambitious ladies filled up a canoe with so much trash. It’s easy to see the tractor tire and car tire, but there are also countless pieces of trash in the bags and buckets as well. Way to go! Thanks to SOLV and the City of Eugene for their efforts on this. Talk about a tippy canoe!!! !